Aaron Sibley was a finalist for Pride’s Got Talent in London in 2017 and went on to qualify for the Eurovision National Finals in Moldova in 2018 with his song ‘Once upon a Time’. 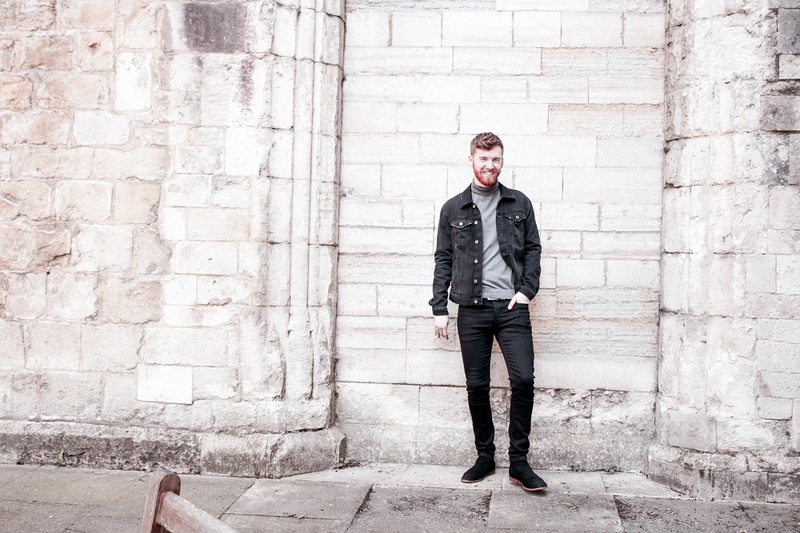 His first studio EP, ‘Holiday Love’, is out now - we caught up with Aaron to find out more. I used music to help deal with my emotions and create a catchy tune in the process. My name is Aaron, I’m 22 years old and I moved to London two years ago. I first got into music when I was in primary school! I needed a hobby so my parents got me guitar lessons and it all grew from there really. My love and passion for music didn’t arrive until later on in school when I began to realise the type of person I was and I began to develop deeper feelings and emotions. Music spoke to me and continues to in different ways all the time. I used music to help deal with my emotions and create a catchy tune in the process. I usually describe my music style as soul-influenced acoustic-pop with folk and classical components. It is very hard to fit into a box when it comes to music but I think this pretty much sums it up! I would have to say Adele, I just adore her music so much. Her soulful vocals are truly beautiful and she is the queen of the balad! In 2017, you were a Pride’s Got Talent finalist, performing on the main stage of Pride in London in Trafalgar Square. How did that feel? This experience was incredible. It was when I first moved to London so unfortunately, it was hard for any other gig after to top this. I was also never really part of the light community before this moment and it brought me so much closer to the community. I met so many amazing people through this experience and lots of opportunities came from it. Tell us about your first studio EP, Holiday Love. What’s it about, what are its themes? The EP Holiday Love is basically a love story. I experienced a loss of someone I loved and the EP was the way I really got through it. I wrote a song about how I felt at different times and the EP was created. I had fun with the production of the tracks and tried to experiment with different ideas; one track is even acapella, something I have not tried before. I wrote the EP over the course of 1 and a half years; documenting how I felt into music. I recorded the EP at different studio locations in London and a lot of it in my bedroom! How does Holiday Love build on your style? Holiday Love is definately a great representation of my ‘sound’. It is my first studio EP so for a lot of my new listeners, this is all they have ever heard and they know no different and have not seen me progress from when I first started writing music. I am excited to write new music and try to write an EP very different to Holiday Love. Can you talk us through each song? As I have lightly touched on before, each song is a documented felling that I felt, after I had an emotional loss (with the exception of ‘Falling Though’). The EP starts with ‘Holiday Love’, a small introductory song which talks about the loss of someone I loved. It then flows onto ‘08:55’ which is about the moment I said goodbye forever at a train station - very cliché, I know… But it did really happened! This song is the more ‘upbeat’ of the EP and offers a nice lift after the acapella start. I also released a music video for this song on YouTube. ‘Hopeless Remedies’ is a more slower paced ballad. This is a song that I wrote a while ago and has only matured and grown with age. Featuring a bassoon, piano and strings it is reminiscent of orchestras and has a very classical feel to it. ‘Falling Through’ is about my coming out story. Lyrically this talks about trying to hide who I am but then realising that it is ok and ‘falling through’. I released a music video with this song and it is available on YouTube. ‘Living In a Dream’. This song is very passionate and full of emotions too. This song also has the classical components that we have heard before, and it is about the moment in which your dreams are crushed. A feeling we can all relate with. The whole WP is about a loss of love and it is clear to see in all of the songs. I hope people can release to the music and that people can draw their won experiences from the songs. What are your hopes for Holiday Love? My main hope for Holiday Love is that it is enjoyed by people and that it resonates with them too. I am trying to get my music out there as much as possible and I am gigging when I can. I plan to continue working hard and continue gigging and performing all over the pace. I am so excited to start writing music again and I have a lot of collaborations in the process this year. Stop worrying about what other people think of you and just do what you want to do! I spent so many years feeling shy and embarrassed for what people would thing of me. I wouldn’t sing anywhere for years as I was too shy! but who cares! If you love something then you should do it. Watch the video for ‘Falling Through’ on YouTube below. For news and tour dates go to aaronsibleymusic.com. Listen to Holiday Love on Spotify here.